Locally, during the year 2014-15, housing was the fifth largest problem which people came to see Citizens Advice Hart about, responsible for almost 1 in 10 of the total of 8526 problems people came to see us about. 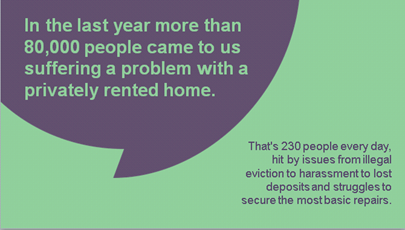 In the last year more than 80,000 people came to us nationally suffering a problem with a privately rented home. That’s 230 people every day, hit by issues from illegal eviction to harassment to lost deposits and struggles to secure the most basic repairs. No surprise then that Citizens Advice has been running a campaign throughout 2015 and into 2016 aimed at improving the private rented sector. * No renter should ever have to pay excessive and inexplicable fees for the basic services a letting agent provides. * No renter should be at the mercy of rogue landlords who consistently break the rules, taking deposits unlawfully, harassing tenants or renting substandard homes. * No renter should ever be left out of pocket after renting a home which proves to be dangerous or uninhabitable. 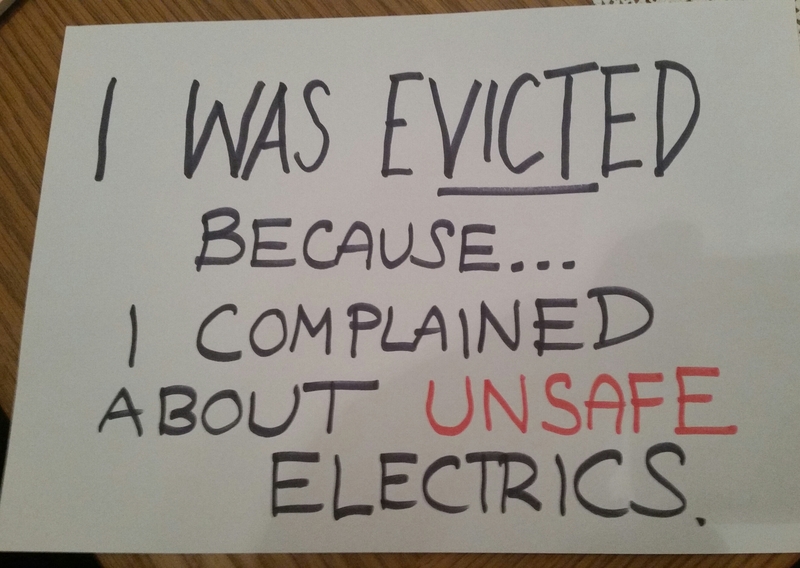 * No renter should be evicted simply for complaining about bad conditions. Success! 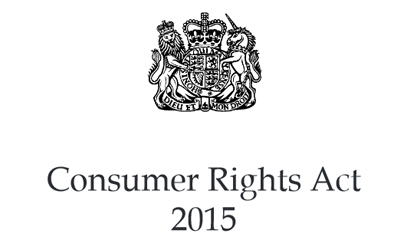 From 1 October 2015, the Deregulation Act 2015 makes retaliatory evictions unlawful. * No renter should ever lose their home at a moment’s notice. The intention of the legislation is that both landlords and tenants will know, or be able to calculate, exactly what they will be charged and when. The requirement is enforced by Trading Standards who can impose a financial penalty of up to £5,000. 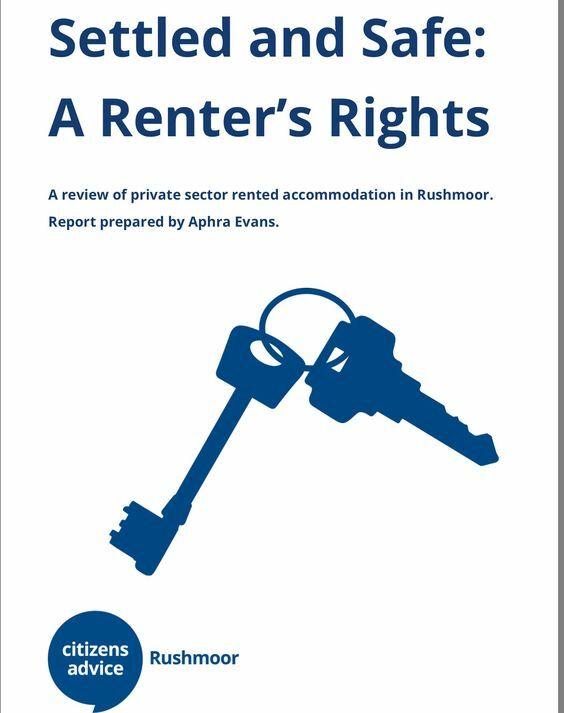 It does not apply to local authorities who find residents tenancies in the private rented sector. The Deregulation Act is on the statue book and came into effect on 1 October 2015 – which should be the beginning of the end for retaliatory evictions. Congratulations and thanks very much to all of those who took action to persuade MPs and Lords to support the amendments. The new provisions prohibit landlords from serving a no-fault ‘section 21’ eviction notice for six months following the issue of a local authority improvement notice. Victims of revenge eviction will now have a right of appeal under these terms. If you find yourself let down in either of these situations, contact us for advice. 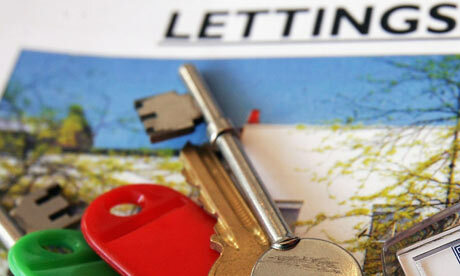 If you are having problems with a private landlord, or a letting agent, contact us for advice. Citizens Advice Rushmoor’s ‘Settled and Safe’ report. Citizens Advice Hart work closely with Hart District Council’s Housing Services Department and recently spent time talking to them about their advice provision for people in housing difficulties. 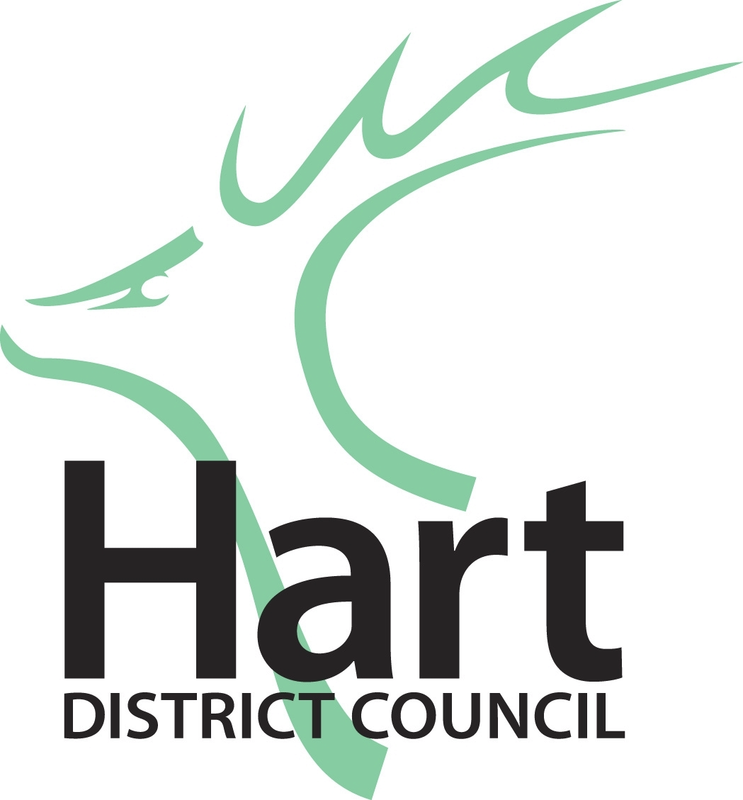 Hart District Council provides a free service for people seeking advice and support with their housing and remain committed to preventing homelessness wherever possible. The Housing Options Service offers advice on landlord / tenant rights, Illegal evictions and disrepair issues. Advice is offered to all clients that approach the service, with the aim to prevent homelessness occurring. In addition to general advice and assistance the housing team maybe able to assist clients through the Councils Rent Bond Scheme. This scheme can look to assist people who are homeless or who are facing homelessness, find suitable alternative accommodation in the private rented sector. To enable the housing team find suitable private rents, the staff are continually looking for landlords with properties to let. Therefore if you own or manage a property in Hart or surrounding areas and are looking for tenants, contact Hart District Councils, housing team who will assist you and at NO COST to yourselves! Hart’s Housing Services offer a range of financial and other benefits as part of their incentive scheme for landlords. And can offer tenants AND landlords a range of support services in order to create lasting tenancies. For further information by visiting http://www.hart.gov.uk/housing-advice or by contacting the Landlord Liaison Officer Natasha Summers or Tenancy Sustainment Officer Claire Boxall on 01252 774420 or via email rentdeposit@hart.gov.uk.